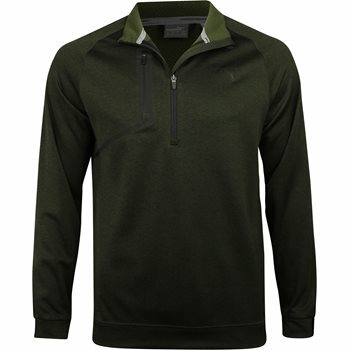 PUMA''s new Envoy 1/4 Zip Pullover brings premium style and comfort to the course. With an elastic waistband and cuffs, it offers a secure, snug fit. It has a zipper pocket on the right chest for storing smaller items. The 1/4 zip construction allows for an adjustable fit and look. It also features moisture-wicking technology that quickly evaporates sweat. This jacket is the perfect piece for chilly days on the greens. Zipper garage on collar for comfort against chin. Standing collar for additional warmth. PUMA Cat logo on left chest.